Cadbury’s recent online video ad campaign proved to be more successful than traditional TV ads, a new report unveils. 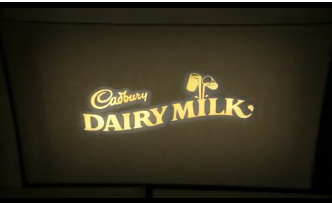 The ‘Chocolate Charmer’ campaign from Cadbury’s was used on both online video and traditional TV. Despite having a much larger audience traditional TV saw a short term return of 60p for every £1 spent whereas online video delivered a short term return of £2 for every £1 spent. Online video was used to deliver additional reach for the campaign, increasing the overall audience by 19%, focusing particularly on younger viewers. The campaign was tracked by the Media Efficiency Panel over a number of platforms including cinema, video on demand, traditional TV and online video. From the 9th April to the 14th June sales of Cadbury’s were measured in approximately 7,500 households which were part of the Kantar Worldpanel service (panellists scan and report their purchases when they return home from shopping). The ‘Chocolate Charmer’ campaign contributed 3.5% of total sales which compared well to other campaigns measured by Worldpanel. It was also found that nearly 2 out of three people who saw the ads online did not see them on TV and a higher proportion of younger viewers saw the ad online too (48% online compared to 46% on TV). To learn more about the findings take a look at the article which was first published by Marketing Magazine here.